Love this idea! I have been to a few yard sales that have take the batteries out of all the toys and give them to you just to test. This drives me crazy! I can understand though. Batteries can get expensive! Hi Dude! I've been visiting your blog regularly but became an official follower tonight to say thank you for this info. I was going to pose this very question on including batteries to Yard Sale Mommy now I don't have to. She may of course have a different opinion, but you make excellent points. Great blog BTW - I really enjoy your posts!! Hi Jill- That's pretty timely right? I am glad you could use the information. Batteries are a definite no-go. YardSaleMommy (who's great buy the way) may have a different opinion, but we're usually on the same page on stuff. If you have any good eBay flips you want to tell us about let me know and I'll post it on the site. Thanks for checking in! This week I tested out the consignment sale market. 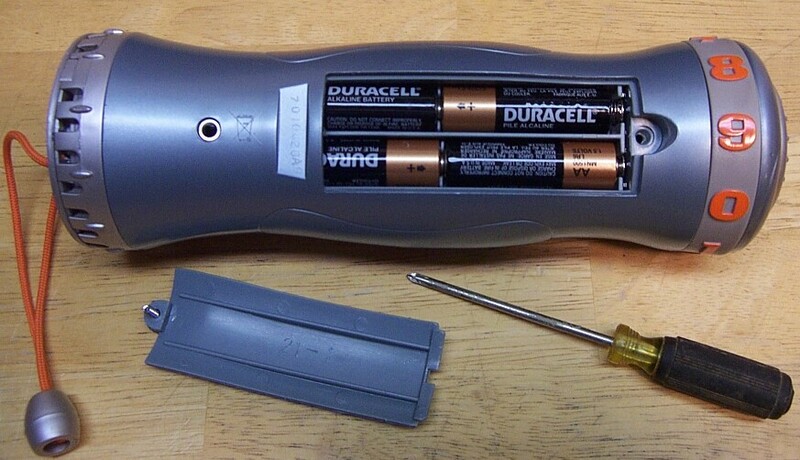 You have to put batteries in toys for the items you sell there. So, I take the batteries out of the items I sell on Ebay and saved them for the toys I sold there. Hey GSA- Yep, Ebay takes a percentage of the shipping fee you charge to your buyer. They do it to discourage sellers from charging too much on shipping. Kim-Nice idea using them at the consignment shop. Great site too! To answer your question about the stroller. If you can sell it for $100, that's well worth it, your doubling your money. And if they are asking $50, that really means they'll take $40 in my book.